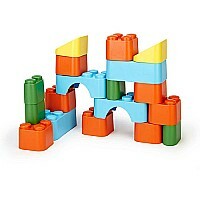 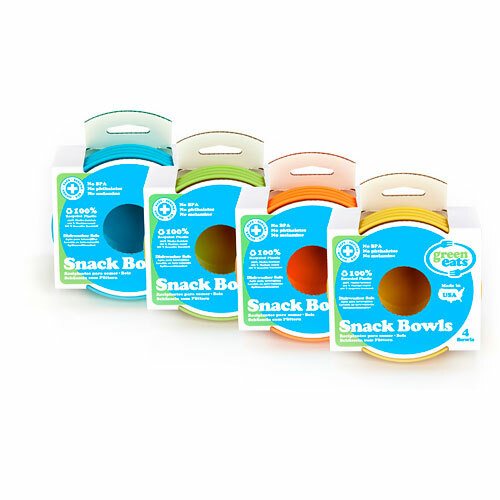 Snack time just turned "green" for kids of all ages. 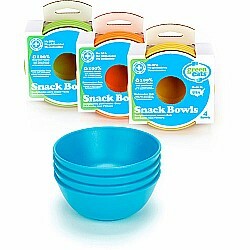 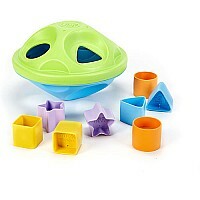 Made in the USA from 100 recycled plastic milk containers, the Green Eats Snack Bowls are ultra-safe. 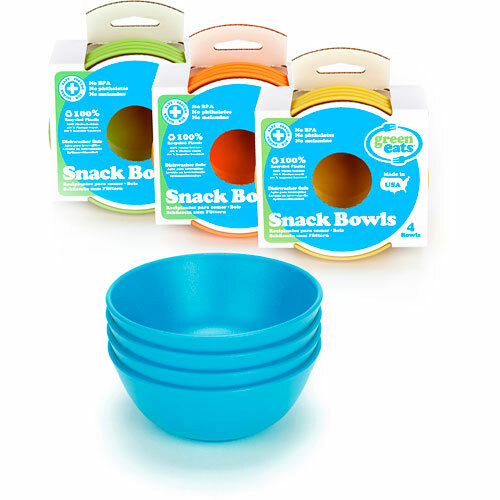 Each of these sturdy bowls is melamine-free, BPA-free, phthalate-free, PVC-free and has no external coatings. 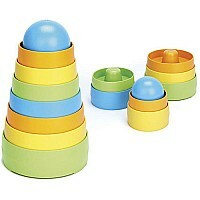 Serve up healthy snacks and Good Green Fun. These bowls are also the perfect size for baby feeding. 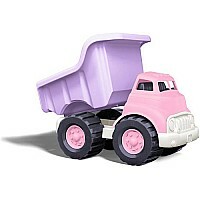 Packaged using only recycled and recyclable materials and printed with soy inks. 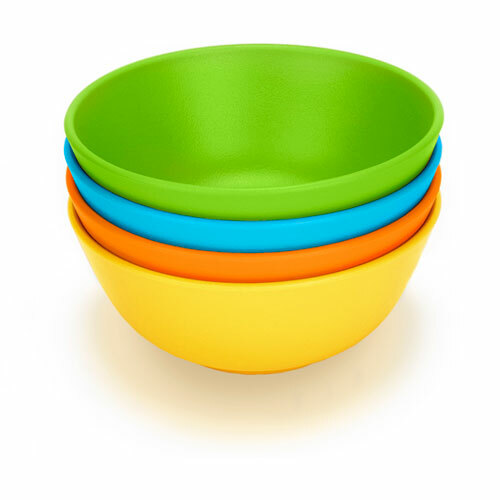 4 1/4" diameter, 1 3/4" H.
Measures approximately: 4.50 x 4.25 x 3.00 inches..